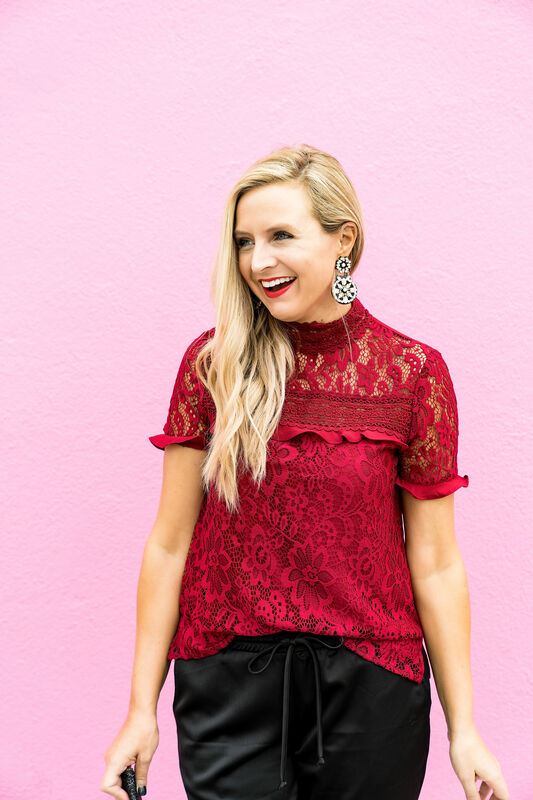 This holiday outfits post is sponsored by Nordstrom and ShopStyle. I love collaborating with brands that I love and trust. Post ideas and opinions are always my own. Hi friends and happy Monday! Also, happy December! Can you believe the holidays are officially here?! I’m so excited because I just love this season!! 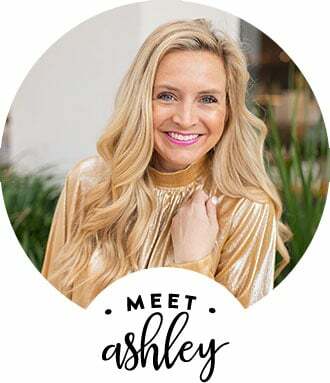 I was so excited to partner with Nordstrom for today’s post to bring you some of my favorite fancy holiday outfits! These are all looks that would be perfection at any of your holiday get-togethers! Speaking of Nordstrom, have you tried the order online, pick up in store option yet? It’s such a great option, especially during the holidays! If you’re last minute at all, you can search items that are in stock in your local store, place the order and pick them all up without a couple hour span! This is a game changer for this season! Beat the crowds and do your shopping in the comfort of your own home and just swing by your local Nordstrom to pick up your order-they’ll even bring you items right out to your car, so you can even stay in your pajamas! Ha! 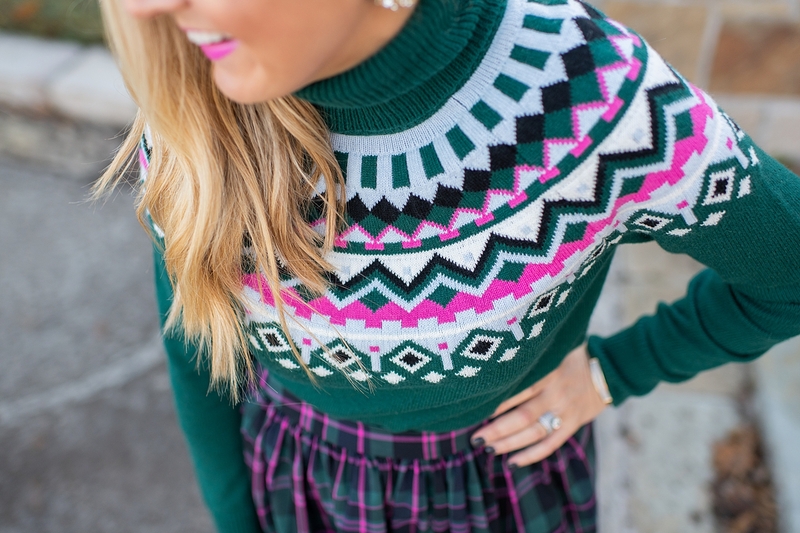 Back to the holiday dressing though, take a peek at these seven holiday outfits! They are sure to add just the right amount of fancy to your holiday wardrobe! Be sure to scroll til the end of the post to see each outfit! 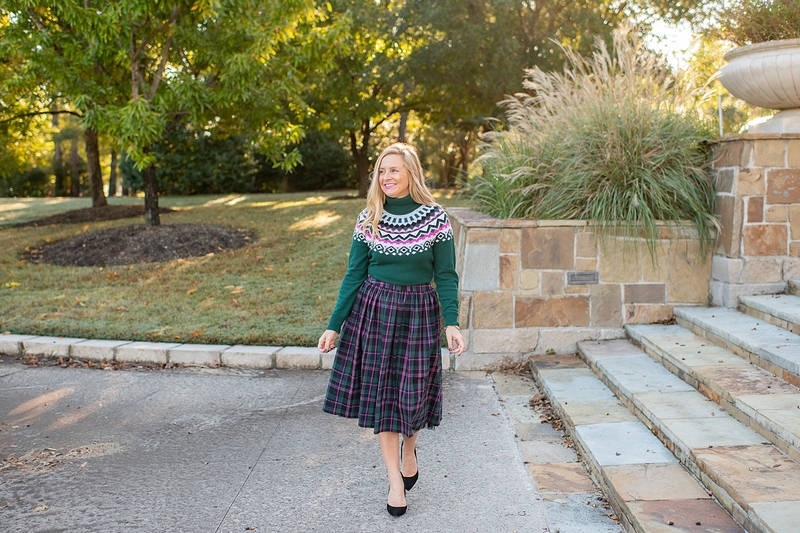 This SWEATER and skirt combo is a favorite of mine! 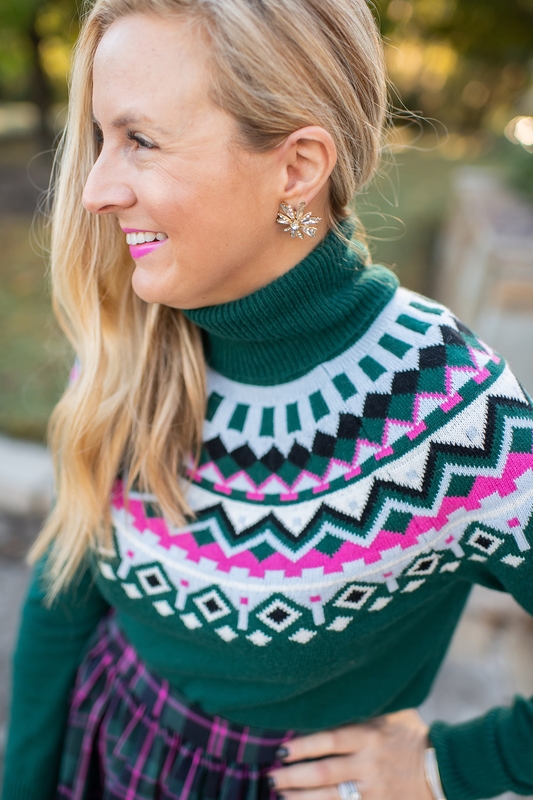 I just love a great fair isle sweater and this ONE has all of my favorite colors! Give me all the pink!! 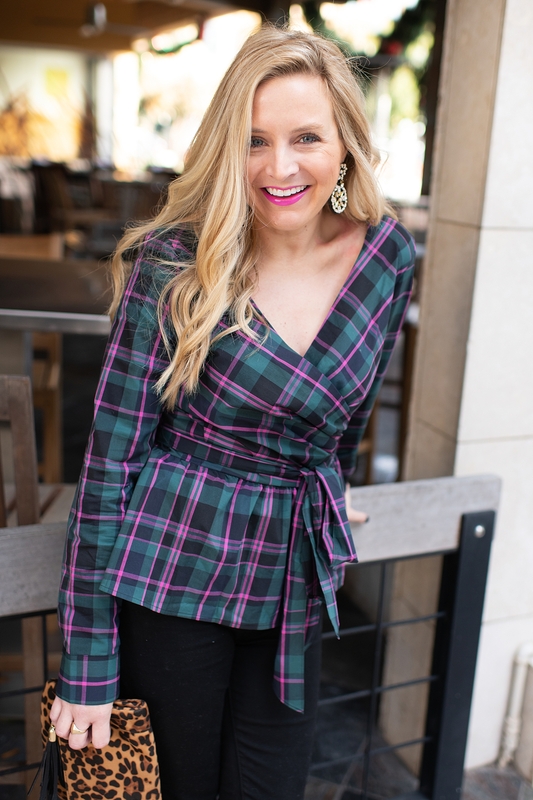 I loved this pink plaid so much that I had to grab this adorable WRAP TOP in this print as well. This is such a cute holiday inspired look! Wear the TOP with your favorite black JEANS (These are mine) and a great pair of HEELS and you are set! 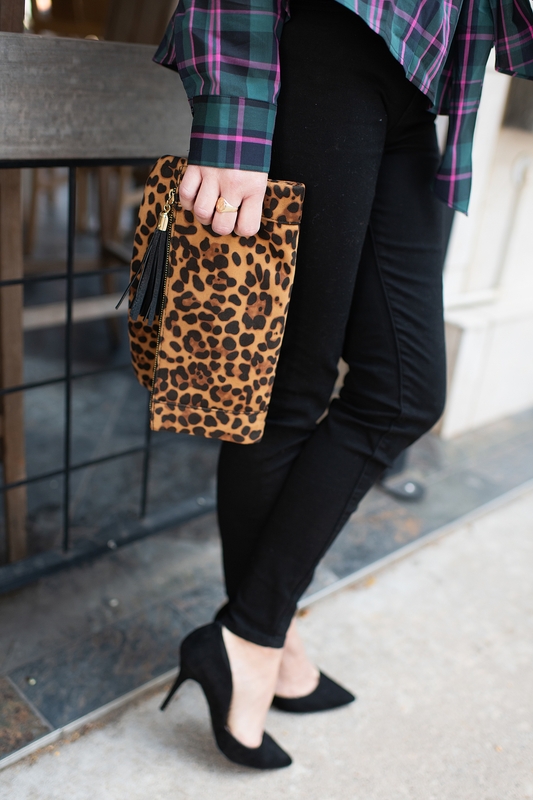 Throw in a pop of leopard with a cute CLUTCH for good measure! It’s the perfect neutral! 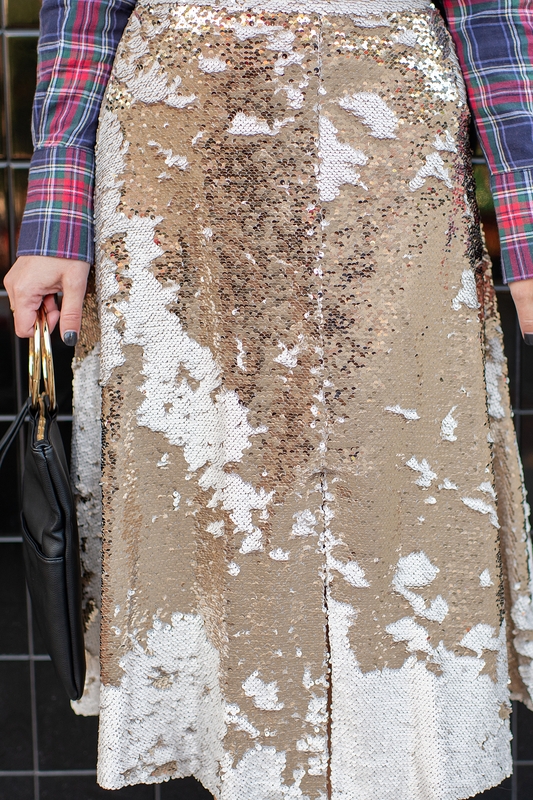 I always love a pop of plaid with some sequin and this SKIRT was just too fun to pass up! LOVE it!! This TOP is a great winter staple! Perfect to wear as a layering piece under sweaters, too! There are three ways to wear this CLUTCH and it’s totally a favorite! Any clutch that is hands free is perfect for me! I’m a huge fan of the sequins on sequins look! 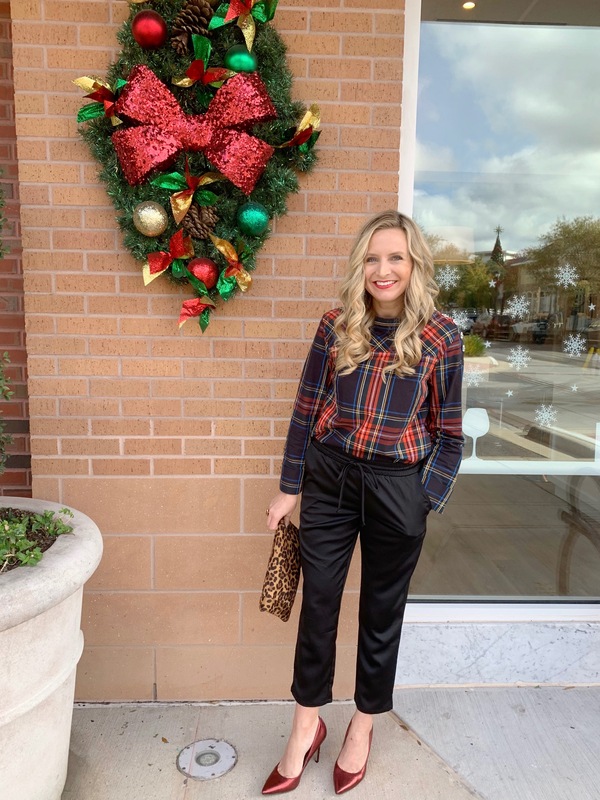 Since my joggers sold out, I’ve been searching for other sequins on sequins options for you this holiday season and this look is such a great option!! This TOP is such a cute one and so versatile! See me wear it as a layering piece in this post! I love to wear it with skirts, but it’s super cute with jeans as well! You need it for all your holiday occasions! I love this TOP paired with this fun pencil SKIRT! It almost looks like it’s one piece! Such a cute look for any holiday party! This TOP is a total holiday must! It looks great with jeans, but I really love it paired with SATIN JOGGERS. This is an easy throw together outfit that looks like you’ve put a ton of time into it, but you didn’t! These are definitely staple holiday wardrobe pieces! 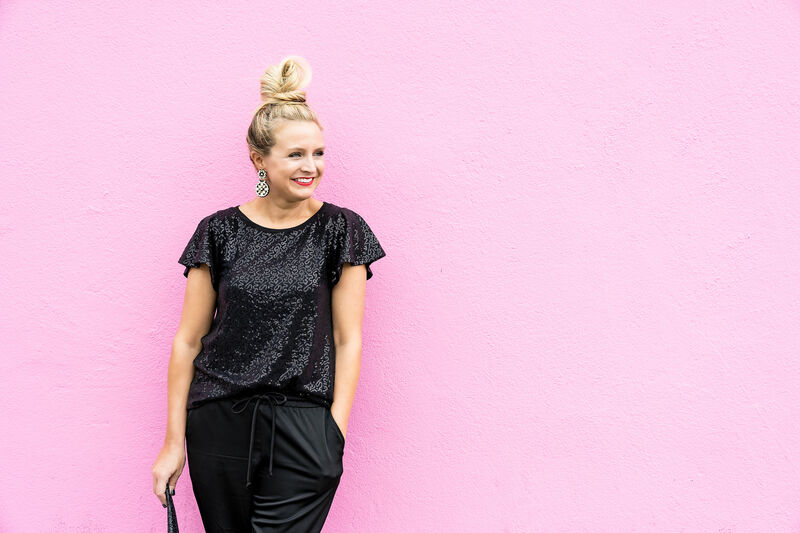 Here are the SATIN JOGGERS again, but paired with this great sequin flutter sleeve TEE! This is another great holiday look that is easy to throw together and you still look like a million bucks! Clearly, I can’t stop wearing these SATIN JOGGERS. I had to show you how I wore them to a luncheon the other day! I loved this fun plaid TOP and these red HEELS with them! Another super cute holiday look! There you have it, 7 Holiday outfits!! Do you have lots of holiday parties in your new future? Do you love dressing up as much as I do? I hope these looks inspire you to be festive, fancy and ready for your upcoming parties!! I just love this time of year! Have a wonderful day! XO! Oh my goodness! These are all incredible holiday outfits! You look beautiful! Going to Vegas for New Years and these are some great options!! yay!! So fun! I love vegas!